One of my new favorite summer television shows is The Astronaut Wives Club, which airs on ABC on Thursday evenings at 7:00 pm. 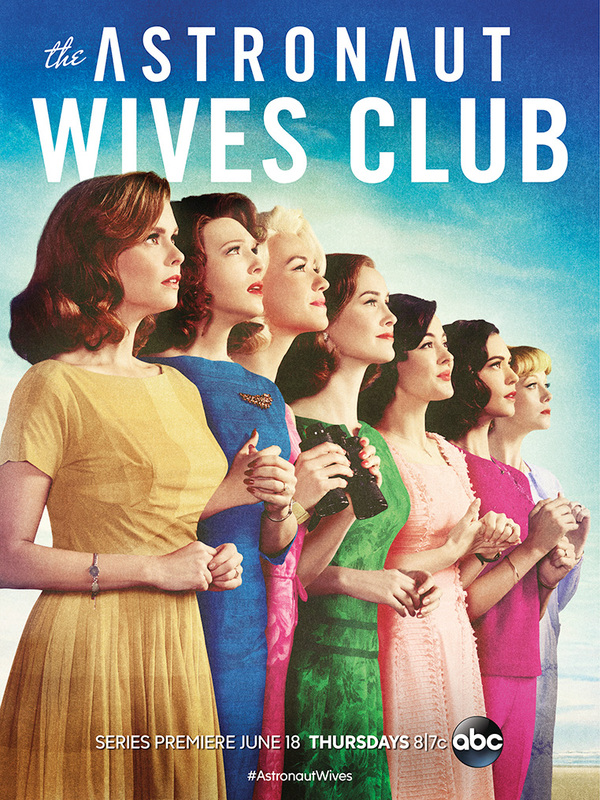 Based on the 2013 New York Times bestseller with the same title by Lily Koppel, The Astronaut Wives Club is an American period drama series created for ABC. The series tell the story of the wives of the Mercury Seven astronauts who pioneered the first manned space flights between May 1961 and May 1963 during the height of America’s race to the moon. When the Mercury Seven were selected in 1959, they became instant superstars in the Cold War space race with Russia, and their seven wives became American royalty. The wives had tea with First Lady Jackie Kennedy at the White House, appeared on the cover of Life Magazine, shared in a $500,000 publicity contract and became fashion icons. As a self-proclaimed history junkie, I love the historical aspect of this show, which features vintage black and white video clips from the actual launches interspersed with the fictional scenes and portrays the women as similarly as possible to their real-life counterparts. During a recent episode, however, I took issue with the show’s portrayal of the perception of and purpose for the Junior League. In the fourth episode, entitled “Liftoff,” NASA relocates the astronauts and their wives to Houston, Texas to be closer to mission control. At a welcome BBQ with members of “Houston Society,” Jo, one of the astronaut wives, meets a member of the Junior League of Houston and scores an invitation for all of the wives to a Junior League of Houston gala. Jo becomes extremely concerned with becoming a member of the Junior League of Houston, which she describes several times as “exclusive” and dotes on the fact that membership is “invitation only” by a committee of “high society ladies.” At the gala, Jo shames Betty, her co-astronaut wife and friend, in front of Junior League of Houston members for not being “fancy” enough in an attempt to impress the women and receive an invitation to become a member herself. Later, when Betty asks where the money for the fundraising gala is going, she is told that it’s impolite to ask those types of questions. Unfortunately for Jo, after all that effort and potential harm to her friendships with the other astronaut wives, Jo ultimately does not receive an invitation to become a Junior League member. 1. Our membership is not exclusive. Gone are the days where you had to receive an “invitation” to join the Junior League of San Antonio from a committee of women who sipped tea and wore pearls. 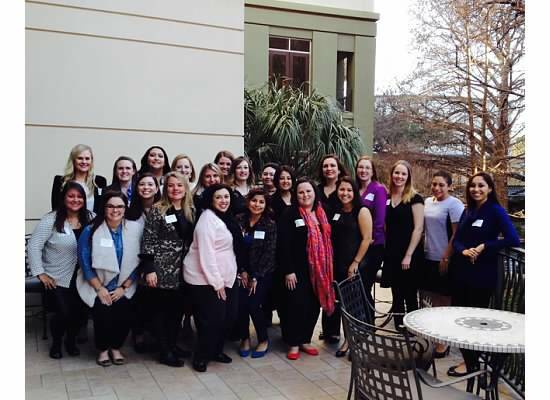 With over 1,200 members, JLSA is comprised of women from a variety of backgrounds, ethnicities, and experiences. We love learning from each other as we volunteer and train together. Even though they were “celebrities” of their time, the astronaut wives had to beg their way into the Junior League, and even then they did not receive invitations. If you have a passion for voluntarism, developing your potential as a woman and a leader and improving the San Antonio community, you are not only welcome, but WANTED! 2. We raise money for a purpose – and are proud of it! 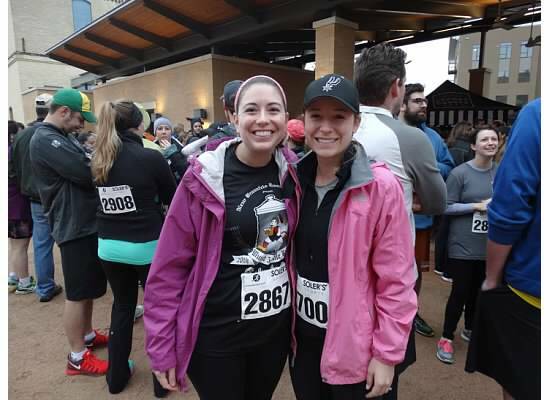 In the 2014-2015 JLSA year, our fundraising efforts raised $328,600 to give back to the San Antonio community. While Jo may have been shushed at the Junior League gala for asking where he money was going, we are proud to partner with over 60 local nonprofit organizations and to be able to award cash grants to deserving organizations, projects or initiatives. If you ask any member of our committees for JLSA’s major fundraisers, Holiday Olé Market, Fête de Cuvée or the Resolve for a Better SA 5K, they will be the first to tell you exactly why we raise money and for whom in the community for the money is raised. We welcome the opportunity to give back to our community – and enjoy any opportunity to talk about the great ways we give! 3. We are not afraid to get our hands dirty. The portrayal of the Junior League in The Astronaut Wives focused on gala dresses and glasses of champagne. If you have the opportunity to witness a Done In A Day project or volunteer for an SA Works Shift, chances are there will not be any champagne or sequins during JLSA’s volunteer hours. JLSA members have traded in our pearls and gowns for t-shirts and ponytails as we are out making a difference in our community. 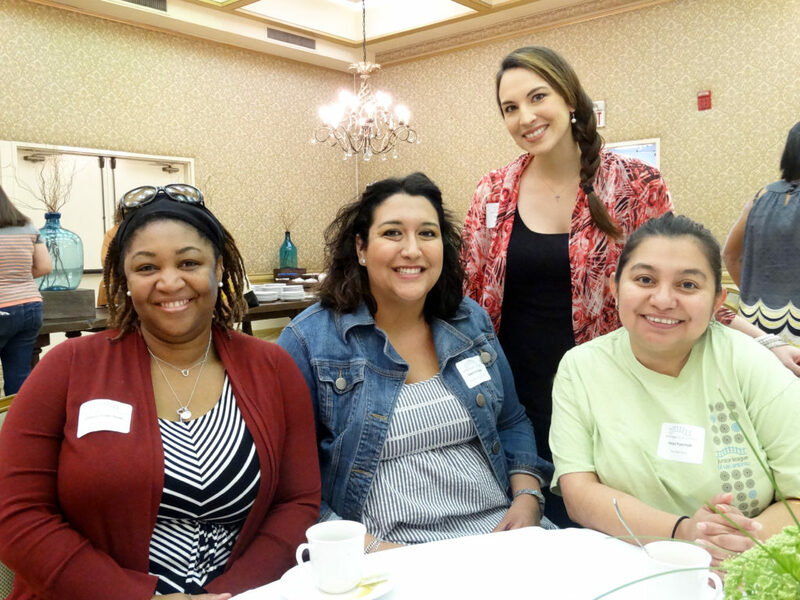 From gardening with Green Spaces Alliance to cleaning up trails at Mitchell Lake Audubon Center, JLSA members are doing more for the city of San Antonio than drinking champagne at a gala. And if you ask any JLSA member, we wouldn’t have it any other way! 4. JLSA women are a force to be reckoned with. The astronaut wives wanted to become members of the Junior League so that they could mingle with “high society.” Our members join JLSA so they can give back to and make a difference in our community. And what a difference they make! 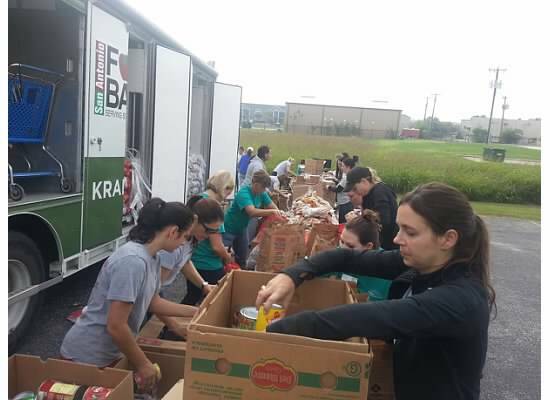 In 2014-2015, JLSA members spent 6,460 hours volunteering with our community partners. Outside of the league, 49% of our members are involved with other causes and many of our members sit on other nonprofit boards in the community. Additionally, 75% of our members work outside the home and 63% of our members hold managerial/professional positions. Most recently, one of our JLSA members was awarded the San Antonio Hispanic Chamber of Commerce’s “Rising Star of the Year” for 2015. With programs such as LeaderBoard and GOAL (“Growing Our Awesome Leaders”), JLSA intentionally trains our members in leadership development so that our members can grow personally and professionally and apply those new skills to their JLSA placements as well as activities outside of the league. JLSA members don’t just sit around and wait for opportunities to come to us – we create them ourselves! 5. We support one another, inside and outside of JLSA. In the episode, one of the astronaut wives made fun of her friend in an effort to “impress” the women of the Junior League. My experience in JLSA, and the experience of everyone I know who has been involved with the organization, has been the exact opposite of the astronaut wives’ portrayal. Whether its JLSA activities or involvement outside of the league, JLSA members are each other’s closest friends, confidantes and encouragers. We enjoy happy hours together, invite one another to celebrate achievements in our other organizations and attend one another’s wedding and baby showers. Many of our members have found their lifelong friends through JLSA, friendships that continue into their sustainer years and beyond. In short, I really enjoy The Astronaut Wives Club. The show is providing education and knowledge about America’s race for space and the developments of NASA during the 1960’s to a generation who was not around during that time to witness all of these events firsthand. However, I hope that viewers of the show, particularly those who may be interested in joining JLSA, realize that we have come a long way since the Junior Leagues of the 1960’s, and that being a member of JLSA is not accurately portrayed in the show. I am proud of how far we have come and all that we are doing for our community – and while I am a proud owner of pearls and heels that I am excited to break out at Fête, there is more to me and my fellow JLSA members than being a “high society” volunteer. JLSA members have passion for a purpose – and I hope that is the message we leave and the image we have in the city of San Antonio and beyond.